The study of the microscopic propelling mechanism of anisotropic Janus particles often involves the analysis of motion at multi-time scale. In this paper, an efficient method is developed for directly simulating the motion of non-equilibrium particles to resolve the issue of requiring large computational resources to simulate the complex multi-time scale motion of Janus particles. We combined fluctuating lattice Boltzmann method and grid-refinement technology to simulate spherical and cylindrical Janus particles, and compared their motion characteristics with experimental results at multi-time scales, which proved that the method is efficient and feasible. This simulation method can also be applied to more complex active particle motion systems. 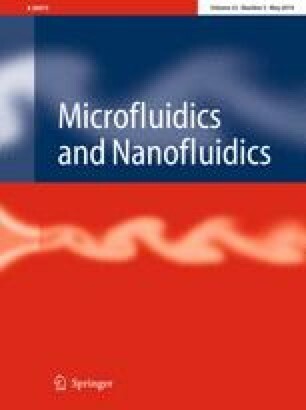 This article is part of the topical collection “2018 International Conference of Microfluidics, Nanofluidics and Lab-on-a-Chip, Beijing, China” guest edited by Guoqing Hu, Ting Si and Zhaomiao Liu. This study is supported by the National Natural Science Foundation of China (11602187 and 11447133), the Natural Science Basic Research Plan in Shaanxi Province of China (2016JQ1008 and 2018JM1029).